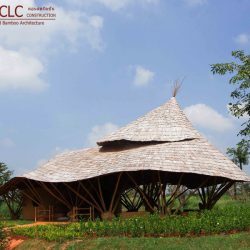 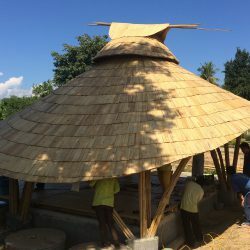 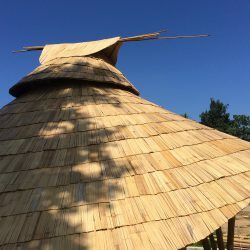 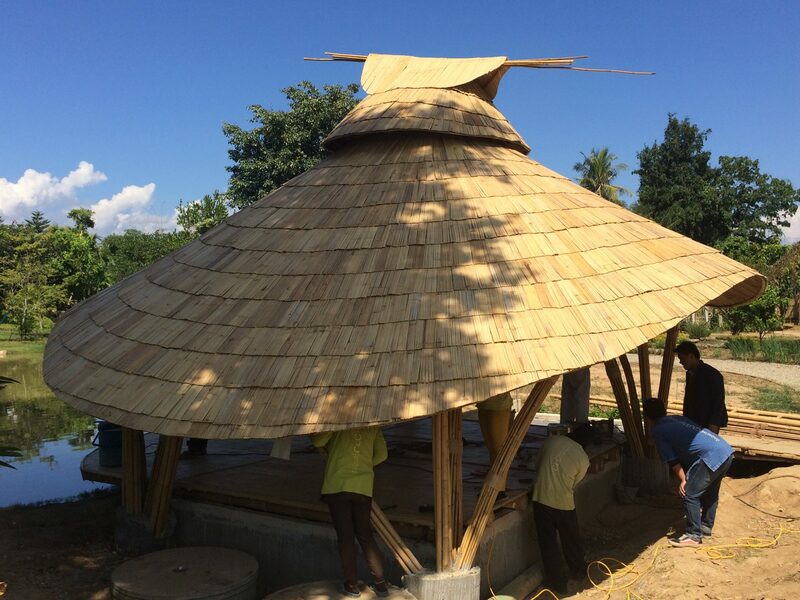 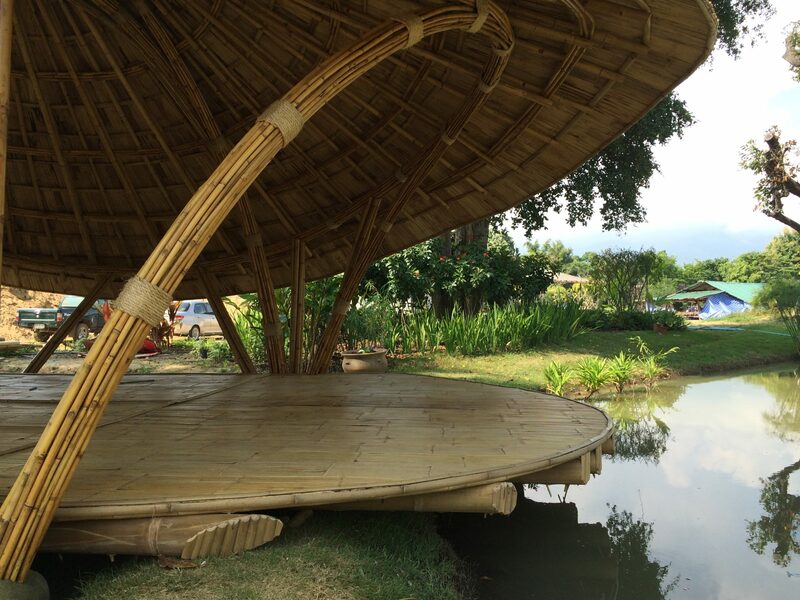 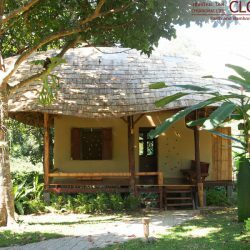 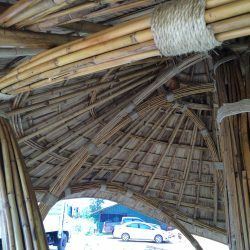 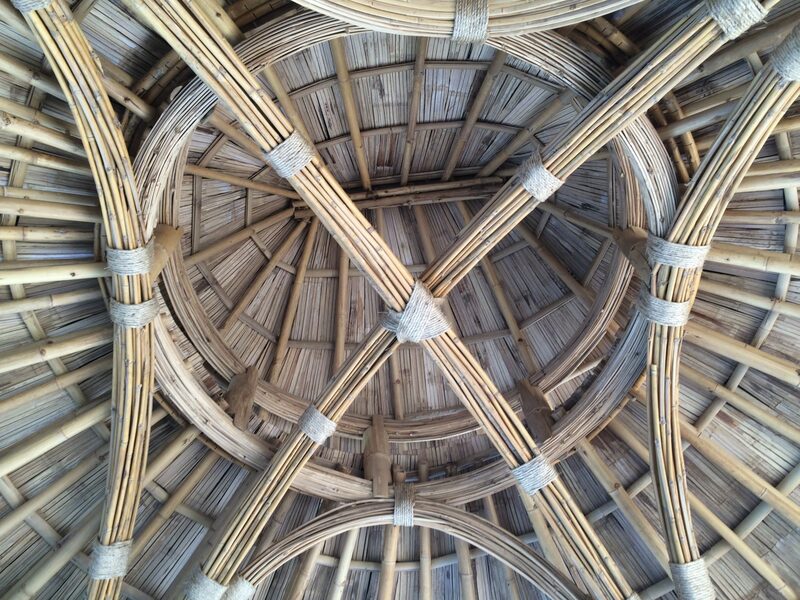 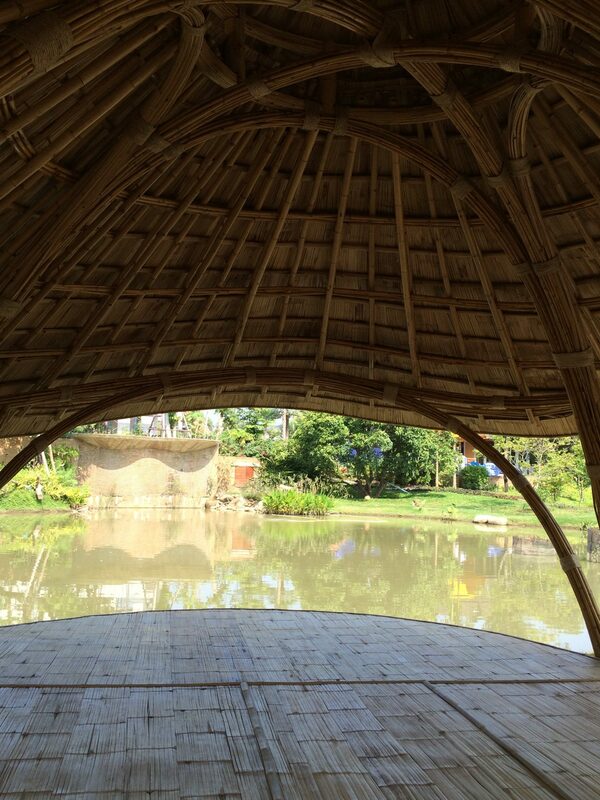 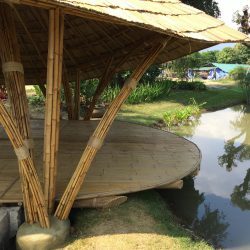 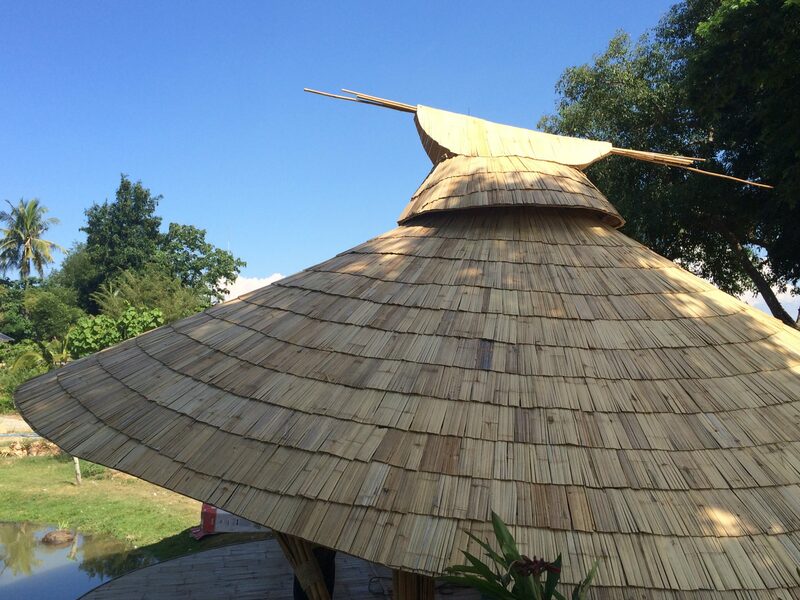 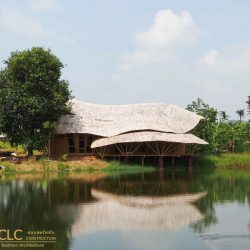 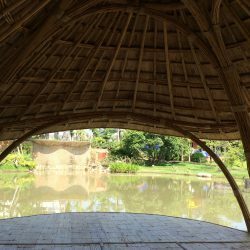 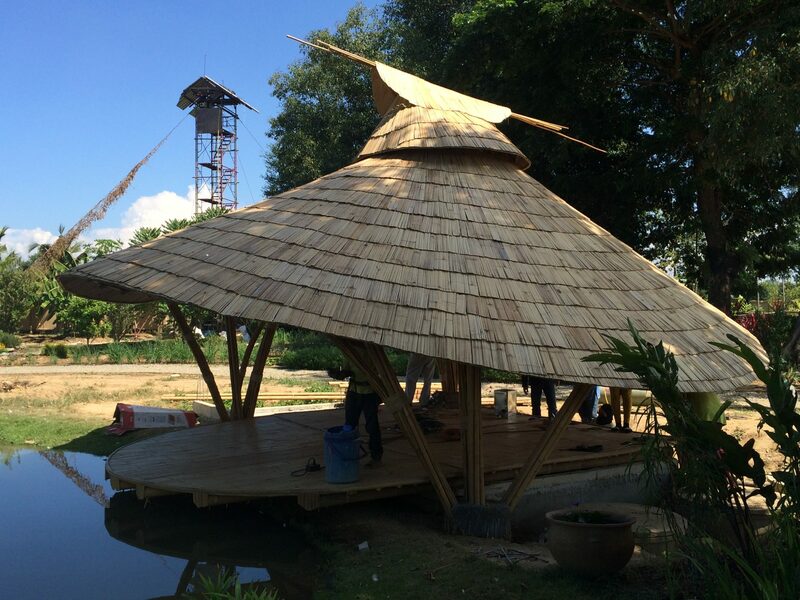 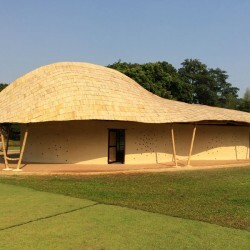 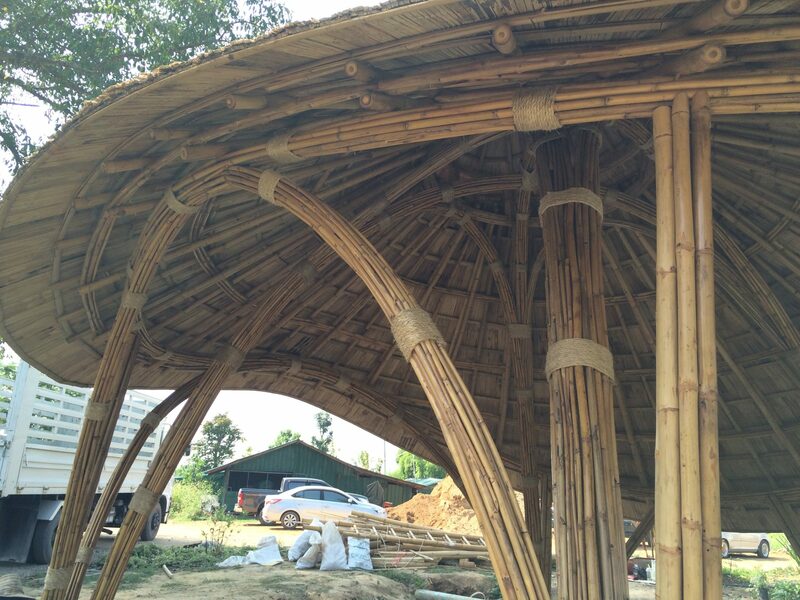 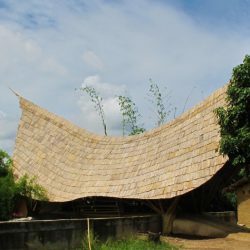 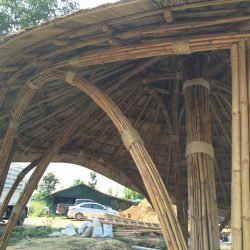 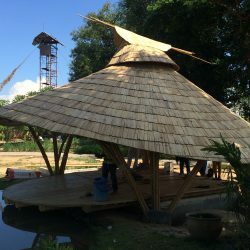 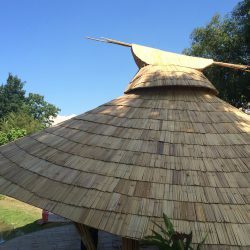 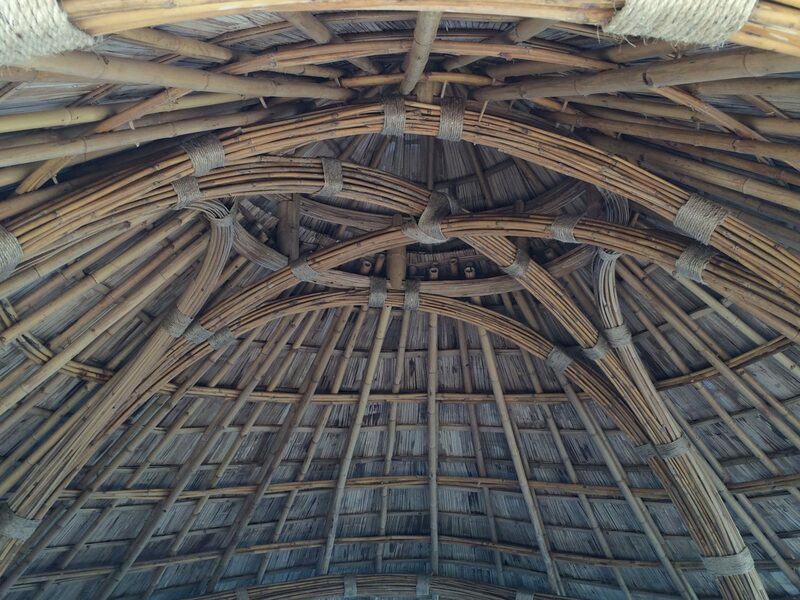 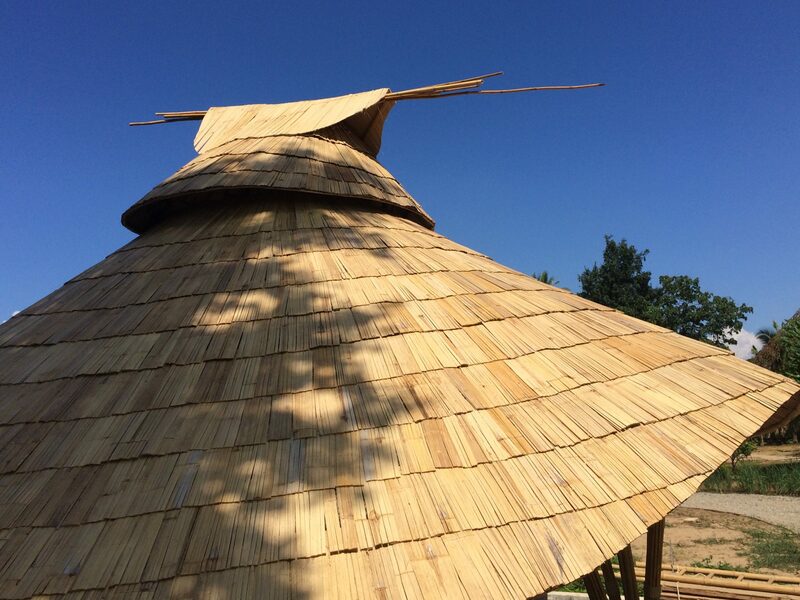 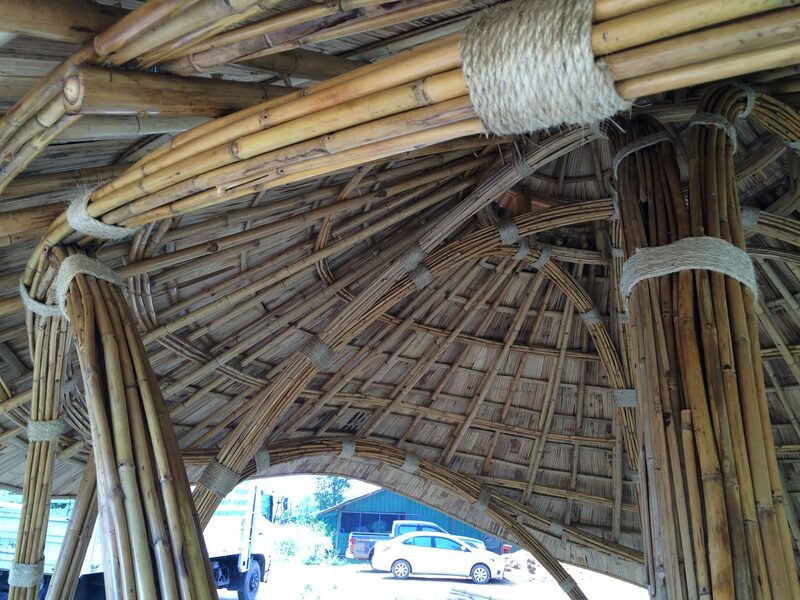 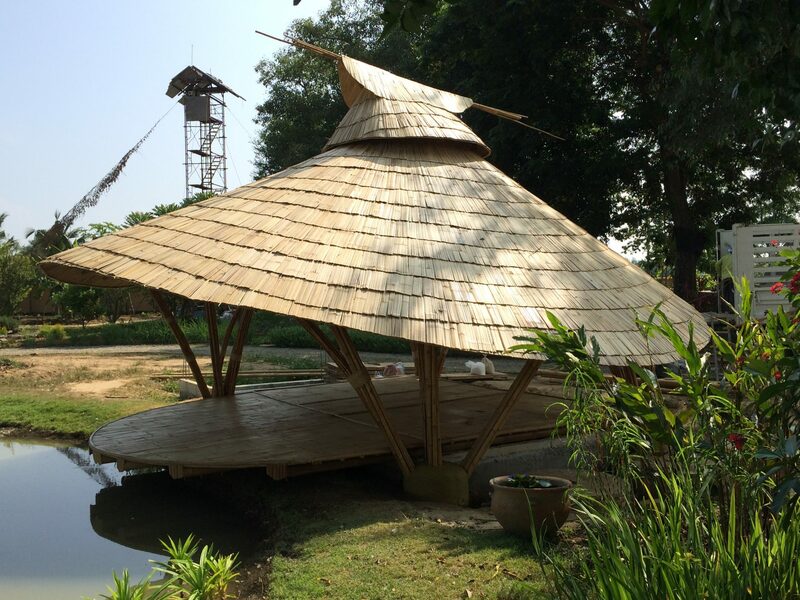 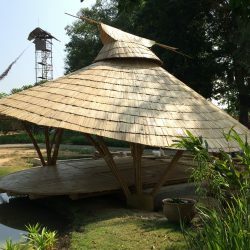 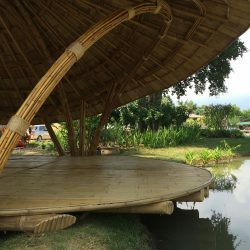 This bamboo sala by the lake was designed and built for a customer with a big eco-project in the north of Chiang Mai. 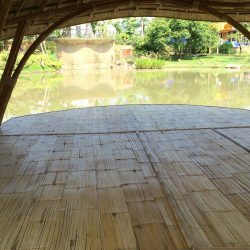 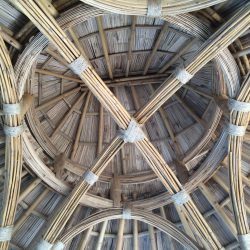 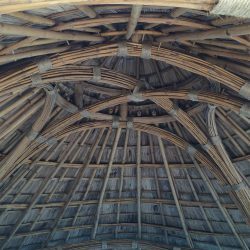 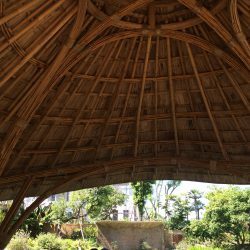 A smaller kind of bamboo is bundled and flexed into arches to create a comfortable space, the sala floor is supported by big bamboo beams which extend out over the water. 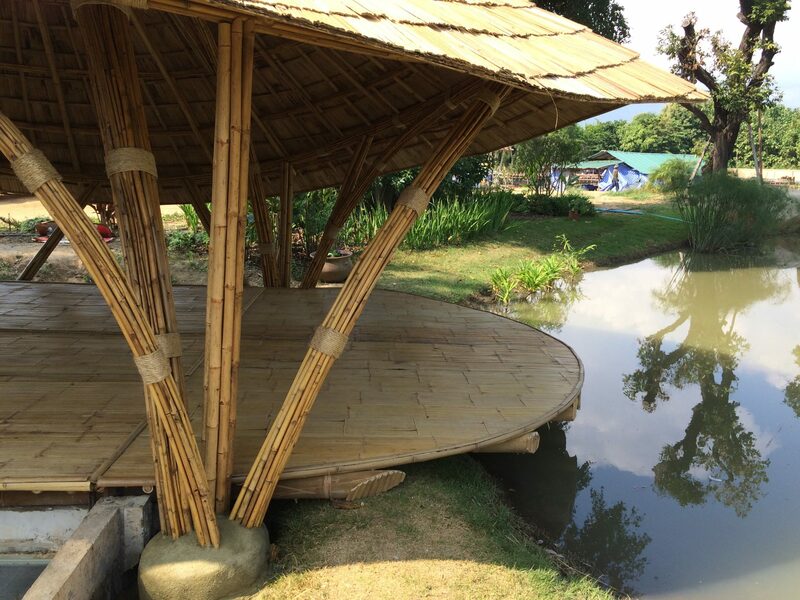 The client wanted to be able to sit on the edge and dangle his feet in the water. 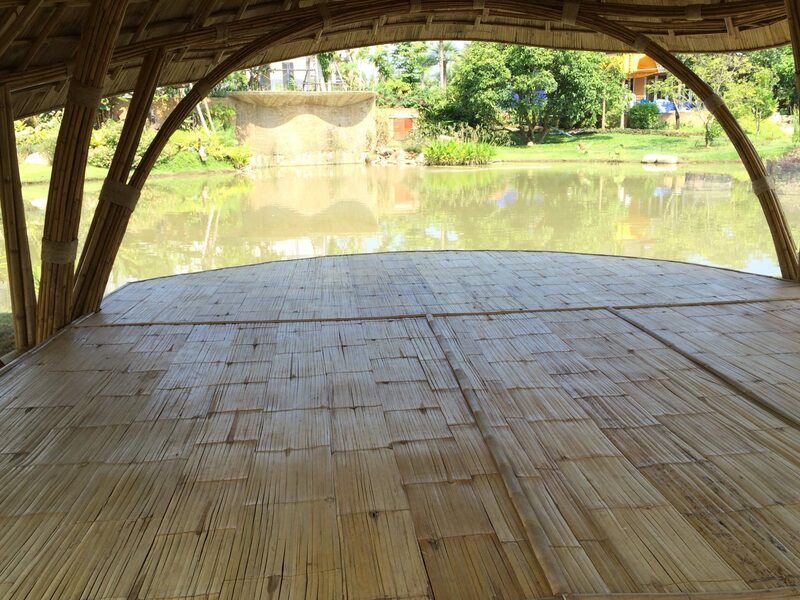 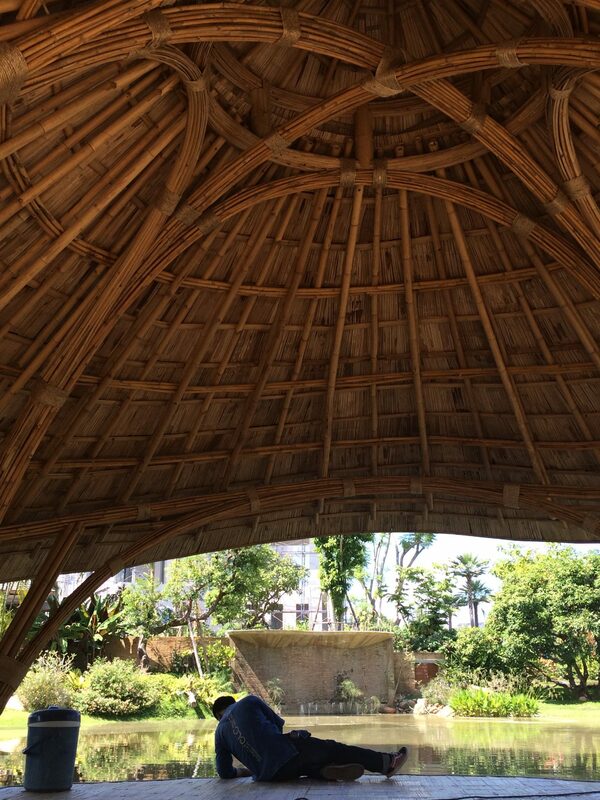 This bamboo sala is also used for Yoga and sits on top of the organic water filtering system for the pond.